Materias is an exhibition of Dianna Frid's artist's books shown alongside pre-modern and early modern rare books from the collection of the Biblioteca Francisco de Burgoa. The library is housed in the 16th century ex-convent of Santo Domingo in Oaxaca, Mexico. 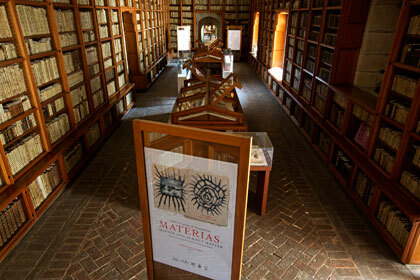 Materias is a trans-historical project that explores the matter and subject matter of books spanning five centuries.